A loud voice in the forest that hoarsely whistles, THREE-eight? 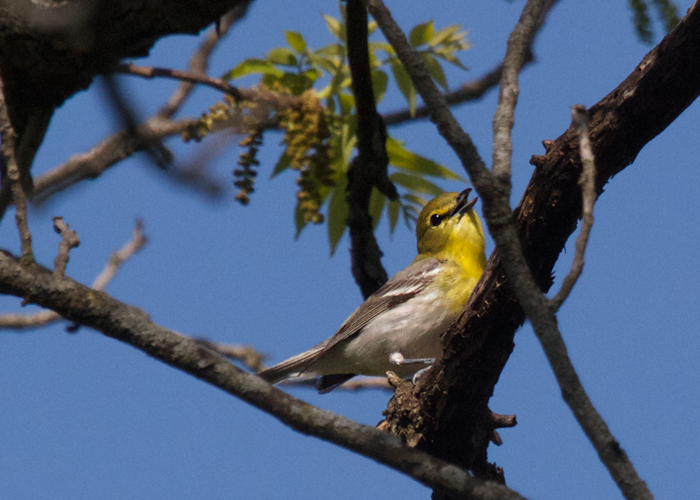 Probably a yellow-throated vireo. He never pipes down. If you get a chance to look at him, his throat is country-egg-yolk yellow, and he's wearing whitish spectacles that ring his eyes and connect across his nose. Listen here, and then recognize it when you hear it in the woods tomorrow!